Home Stock & Shares As China’s Capital Markets Open Should You Invest in Its £9 Trillion Economy? As China’s Capital Markets Open Should You Invest in Its £9 Trillion Economy? Last Friday, June 1st, was a milestone in the ongoing process of opening up China’s vast domestic equity markets to international capital. 233 Shanghai Stock Exchange-listed ‘A shares’ were incorporated into the emerging markets index of New York index giant MSCI. On September 3rd, a further tranche will be integrated. With investors controlling £1.6 trillion in assets following the MSCI indices directly, and as much as £9 trillion in capital linked to the indices, the event is widely accepted as China’s mainstream entry into global capital markets. But what does it really mean? Is it significant to private investors and does it open up new opportunities to potentially benefit through investing in what is now the second largest economy in the world and, by some measures, already the largest? What Does the Inclusion of ‘A’ Shares in the MSCI Indices Actually Mean? 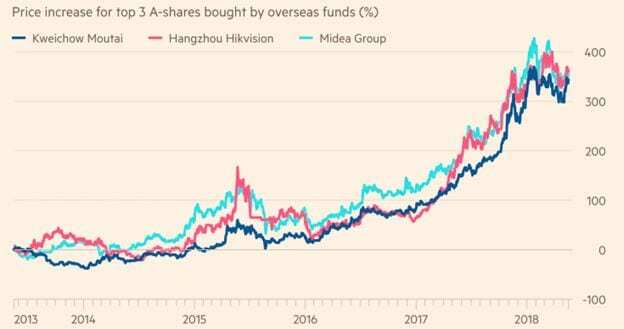 Only reading headlines of the coverage around last week’s inclusion of A-Shares into the MSCI may have given the impression that international investors are being given access to Chinese equity markets for the first time. While a major index compiler including Shanghai-listed shares into its indices is very significant in its own right, it was already possible for international investors to buy A-Shares. So why is MSCI’s move to incorporate Chinese equities into its indices considered to be so significant? Until 2003 China’s capital markets were completely closed to foreign capital with the exception of a small group of Chinese companies that had dual listings on the Hong Kong Stock Exchange. In that year the company established its Qualified Foreign Institution Investor (QFII) program, which allowed approved institutional investors access to A shares. With tight restrictions around investment quotas, lock-up period, and capital repatriation it is safe to say international institutional investors were not clamouring to allocate and significant capital to China. 2014 witnessed the first major milestone in the opening up of Chinese equities markets with the launch of the Shanghai-Hong Kong Stock Connect. This bridge between the two stock exchanges meant that international investors were able to buy A-Shares listed in Shanghai via Hong Kong-based stock brokers. 2016 saw the same kind of bridge provide access to the Shenzhen Stock Exchange. Last week’s milestone is less China opening up its capital markets and more international finance opening up to China’s capital markets. Shanghai has been wooing MSCI and other major international index compilers for some time. However, until now, despite the Chinese market having grown into the world’s second largest behind the USA in terms of market capitalisation and liquidity, MSCI and its peers have been unwilling to risk adding domestically listed equities to their indices. Concerns over government influence over and ownership stakes in many of the country’s biggest companies mean accountancy standards and corporate governance remains opaque by international standards. This has led to high profile instances of corruption and insolvency proving notoriously hard to spot before it’s too late. Celebrated UK stockpicker Anthony Bolton tried to turn his Midas touch to Chinese equities in 2010. Despite initially only buying companies also listed in Hong Kong, Bolton fell foul of accountancy standards and fraud in the companies he invested in. As he famously put it, corporate governance in China was a “euphemism for ‘are the figures real and is the management lying’”. China has made an effort to raise corporate governance standards in recent years but MSCI is still wary of how safe and well-managed the domestic Chinese equity market is. And that is exactly what the June 1st 2018 inclusion of A-shares into the MSCI Emerging Market Index means. International investors following the index are now obliged to invest in domestically-listed Chinese companies. The process will still be gradual with MSCI initially including only 2.5% of the first 233 companies’ market value in its calculations, increasing to 5% in August. Chinese shares will only account for 0.8% of the MSCI Emerging Market index compared to a 15% weighting to South Korean equities, 12% in Taiwan equities and 8% in Indian companies. Chinese companies listed in Hong Kong, or New York like Alibaba, form 30% of the index. When full inclusion is reached, Chinese equities will make up the dominant portion, around 40% between domestically and offshore-listed companies, of the MSCI Emerging Markets Index. That will go a long way towards ironing out a major imbalance between global stock markets and economies. Asia is home to 60% of the world’s population and 40% of its economic activity. Despite that, only around 10% of international institutional investment capital is invested in Asia. With China the dominant Asian economy, index-linked funds starting to flow into its capital markets will go some way to rectifying that anomaly. The Shanghai market consists of around 4,000 shares with an overall market capitalisation of around $4.27 trillion as of March 2018. That puts it ahead of the London Stock Exchange in size and the 4th largest in the world behind only the NYSE, NASDAQ and Tokyo Stock Exchange. Most of China’s largest ‘new economy’ companies have listings or dual listings in Hong Kong and other major foreign exchanges. Those domestically listed in China tend to belong to more traditional sectors and will be unheard of to most investors in the West despite many of them being huge in size. The Shanghai market also differs to other international markets in a number of ways, most of which are correlated to the fact China, as a still Communist and largely totalitarian state, has seen relatively little international capital inflow. 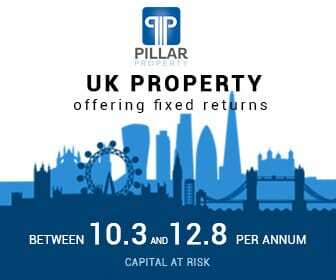 Its population is also restricted when it comes to their wealth leaving the country, including access to international capital markets. One notable result of this is that the Shanghai Stock Market is dominated by retail investors. 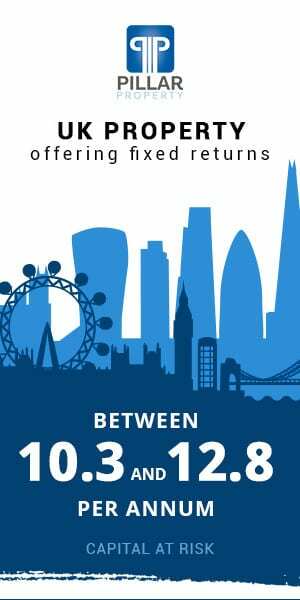 In comparison, only 10% of trading on the London Stock Exchange comes directly from retail investors. Despite this, Chinese companies have historically shown scant regard for minority shareholders. This is largely due to another major difference in Shanghai-listed companies. While only 18% of US-listed companies have one powerful shareholder owning 25% or more of the company’s stock, this is the case for nearly 70% of A-Shares. This weakens the incentive to pay dividends and research company Granite Peak’s data indicates 900 of close to 4000 A-Shares have never paid one. While the biggest companies listed on other major international stock exchanges are often considered ‘income’ stocks, A-Shares almost exclusively fall into the ‘growth’ category. One major impact of retail-dominated trade in China is high volatility. Stocks regularly plummet or gain 20% for little apparent fundamental reason if something provokes a shift in sentiment. The viral growth of social media platforms in China is amplifying this characteristic of the market and is one of the reasons index compilers have been so hesitant in including A-Shares. Questionable standards of corporate governance and the reliability of accountancy have already been mentioned as features of China’s capital markets and another major difference is debt levels. Granite Peak data indicates that the average gross debt held by companies in the initial list included by MSCI is 7.8 times larger than annual ebitda and net debt stands at a multiple of 6.1. times larger. Property Developer Poly Real Estate Group has debt of 18.6 times its ebitda. Standard&Poor’s rank any company with a debt level higher than five times ebitba as at the extreme end of acceptable corporate leverage. Despite the peculiarities and risks that A-Shares represent, China is likely to prove an enticing investment prospect for many. Its companies are growing quickly and new, scaling inflows of international capital into the market is likely to spur values. Whether through individual stock picking, which would only be recommendable for experienced investors who understand the risk, managed A-Share focused funds or index trackers such as the MSCI Emerging Markets Index, what are the opportunities and risks present in allocating capital to China? Exposure to a Huge and Quickly Growing Economy: though the pace of China’s economic grow has inevitably slowed from the breakneck levels of a decade ago, when was at 15%, it is still far ahead of that of developed economies. Despite Q4 2017 growth being the slowest rate since 1990, it was still 6.8%. The compares to 2.9% in the USA over the same period, a figure held up by the Trump administration as an impressive vindication of its positive impact on the domestic economy. 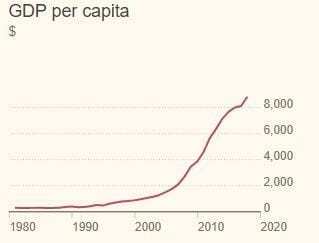 GDP per capita has continued to show strong growth and government policy is focused on increasing domestic consumer spending, something which should be of particular benefit to the more domestic-market oriented A-Share companies of the Shanghai Stock Exchange. 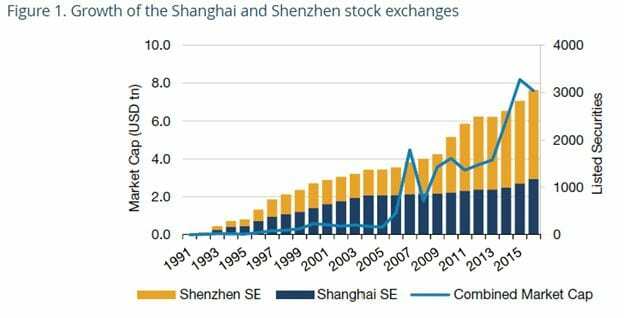 Stock Market & Valuations Growth: despite a recent correction, which can be viewed positively by new investors into Chinese A-Shares, the overall market capitalisation and number of companies listed on the Shanghai Stock Exchange, and manufacturing-focused Shenzhen Stock Exchange, has been growing strongly since launching in 1991. In a wider context, China’s equity markets, though huge, are still in an adolescent phase and have significant room for further growth over the coming decade and longer. If China’s administration manages a relatively smooth transition towards a more mature economy, domestic consumption levels can grow as planned (or even consistently at a slower pace) and companies realise international expansion ambitions, the market has huge untapped potential. In the positive to middling scenarios, getting in now could prove to be an investment masterstroke . Limited access to international capital markets means that A-Shares are significantly cheaper relative to equivalents on other exchanges such as Hong Kong. The recent correction makes valuations even more attractive. The inflow of international investment capital should boost those valuations. Steven Sun, head of research at Shenzhen securities company HSBC Qianhai, estimates that based on the histories of South Korea and Taiwan, full inclusion of A-Shares into emerging markets indices will see more than $600 billion of foreign capital inflows over the next decade. It is hard to see a scenario in which this would not lead to a closing of the valuations gap with other major international equities markets. This can already be noticed in the share price of the three A-Shares that have proven most popular with international investors. Volatility: the previously noted volatility that characterises the Shanghai Stock Exchange in comparison to more mature institutional investor-dominated markets offers both a risk and an opportunity. Flighty retail investor-led sentiment resulting in A-Shares regularly dropping by up to 20% or more, then quickly rebounding, for little discernible reason, creates opportunities for stock pickers. Those able to judge well if a company has strong fundamentals could feasibly generate strong returns by buying on these dips. The window for opportunity in this regard is likely to gradually close in coming years as institutional funds increase in dominance. This would be expected to result in gradually waning volatility. Economic Risk of a ‘Hard Landing’: as well as concerns over how accurate corporate accounting is in China there are also fears around how accurate state economic data. China managing to avoid a ‘hard landing’ as its economic growth inevitably slows is crucial to not only the Shanghai Stock Exchange but the global economy as a whole. Official government PMIs currently show a mild contraction in manufacturing but unofficial PMIs put together by economic analysts indicate the slowdown may be more pronounced. Capital is also thought to be leaving the country at an unprecedented rate and domestic consumption growing less quickly than hoped. It is difficult to really know if these signals simply indicate a natural slowdown or ‘acute stress’ in the real economy. Corporate Debt Levels and Share Dilution: we’ve mentioned the dangerously high levels of corporate debt under which many Chinese companies on the Shanghai Stock Exchange operate. 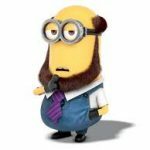 With most companies protected to some extent by partial government ownership or influence, they are practically speaking probably at less risk of becoming insolvent than would be the case anywhere else in the world. Nonetheless, investors need to be very careful as the level of debt held by companies makes them vulnerable to any significant shift in the direction of economic, and especially political, winds. Another repercussion of high debt levels, and the fact that Beijing is currently on a drive to deleverage the Chinese economy, is that Shanghai-listed companies have a high propensity towards dilution through new shares issues. The fact that many have one or a few large shareholders that control a lot of the stock means that minority shareholders have little voice in this regard. Research by asset manager Schroders show the Shanghai and Shenzhen markets suffer by far the worst levels of dilution among 20 emerging and developed markets. Poor Corporate Governance: again, as already mentioned, domestically-listed Chinese equities suffer from poor standards of corporate governance. This is improving but still some way off international standards and leaves investors open to being burnt by companies imploding should accountancy or other forms of fraud come to light. There tends to be little to no forewarning when this happens. Standards are improving and there are hopes pinned on this being accelerated by the efforts a Shanghai-listed companies to attract foreign capital bringing corporate governance standards up to international norms. The counter argument to this is whether capital flows for now mainly coming from passive index investors will be enough to encourage corporate governance improvements. Volatility and Capital Withdrawal Concerns: the volatility that can create opportunities for investors in A-Shares is a double-edged sword that also comes with high risk. Prices can drop fast and while they often quickly return to fundamentals that is not always the case. Domestically-listed Chinese companies also have the bad habit of too quickly resorting to the easy way out of dealing with volatility by suspending trading. In 2015 a major market sell-off saw 1000 A-Shares suspend trading. MSCI has tried to mitigate for this by blacklisting all A-Shares with a record of having suspended trading for more than 50 consecutive days from inclusion in the list of those to be brought into its indices. The quadrupling of the Hong Kong-Shanghai Stock Connect system’s quota also eases capital withdrawal concerns but it must still be accepted as a risk when investing in Shanghai-listed equities. The June 1st 2018 limited incorporation of A-Shares into major international indices is a milestone but it is still early days in what will be a long journey before China’s capital markets are full participants in international financial systems. For the foreseeable future A-Shares will probably be a tiny to modest allocation within an investment portfolio. But one day, possibly within the next decade, we may be almost as comfortable with the prospect of investing in Kweichow Mutai or Fuyao Glass as General Motors or Coca Cola. As always, making an early move into exposure to Shanghai-listed equities could lead to very attractive returns. Again, as always, that opportunity, right now, also entails a high level of risk.